Before I get any violent reaction, hear me out (or read me out. Whatever). I wrote this article for the parents who have co-sleeping in mind for whatever reason. If you truly oppose having your little one beside you when you sleep, that’s perfectly OK. I respect that. But if you’re like me who thinks it’s viable for parents and newborns to be in one room, I appreciate your trust. This article, how to co-sleep with a newborn, is for you. Giving birth is one of the most precious gifts any woman can have, but it’s also one of the most painful experiences. Unfortunately, the pain doesn’t easily go away. In my experience, it took me about a month to heal completely. If you had a C-section, I hear the pain lingers for a longer time. For this reason, I highly recommend learning how to co-sleep with a newborn because it makes your recovery faster. You don’t have to get up and walk across the hallway to feed your baby every now and then. Bathroom breaks are already hard enough for your unhealed wounds, you don’t want to rub salt into it, do you? You can start co-sleeping as soon as you get home from the hospital. But you have to make sure you have all the right materials (which I will discuss later). Don’t enjoy co-sleeping too much that you forget to have your own free time with your partner or just by yourself. Having a third party in the room can be a romance killer, you know. So I suggest co-sleep only until you’re strong enough to go to another room for feeding. Two or three months postpartum is what worked for me. There are several co-sleepers in the market, but we know that not all co-sleepers are created equal. Hence, we picked the best choices for you. Most co-sleepers are designed for babies up to six months old, but your little one may be bigger than average, so you have to check if your LO fits (or will still fit in the next few weeks). If it’s a bedside co-sleeper or a bassinet, you also have to ensure that it can hold your baby’s continually increasing weight. A quality co-sleeper for me is one that’s sturdy and durable. Your baby will make some movements while in it, so you have to find one that doesn’t rock when she tosses and turns. You also have to check if your co-sleeper can be used with your succeeding kids or family’s or friends’. I’ve always stressed the importance of spending within your means. But I also believe that you should not compromise quality for the price. So for things like this, you should really save up. As I previously mentioned, a firm mattress is a must for our little ones. 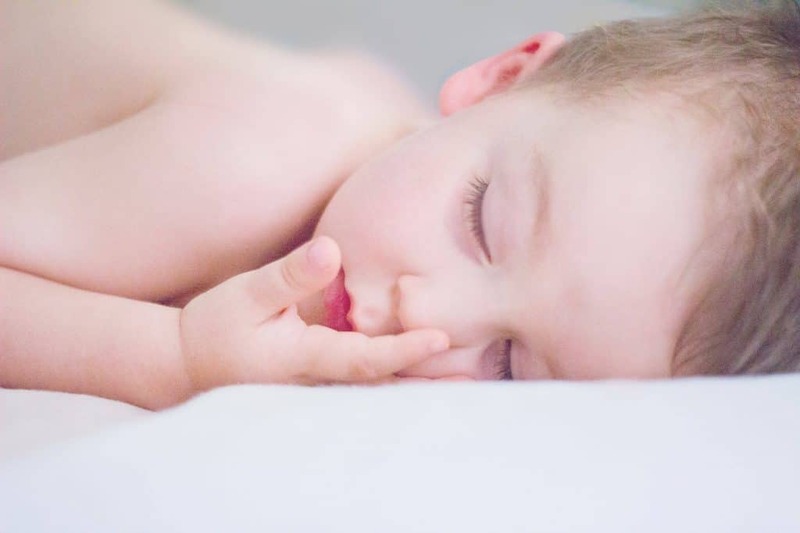 Soft mattresses may smother babies. Also, soft mattresses have poor air circulation that may cause overheating for our babies. A fitted bedding is also necessary in your co-sleeper because any loose items in it may cause suffocation. The number of sheets you need depend on your preferences. The first thing you should do is to find the right co-sleeper. 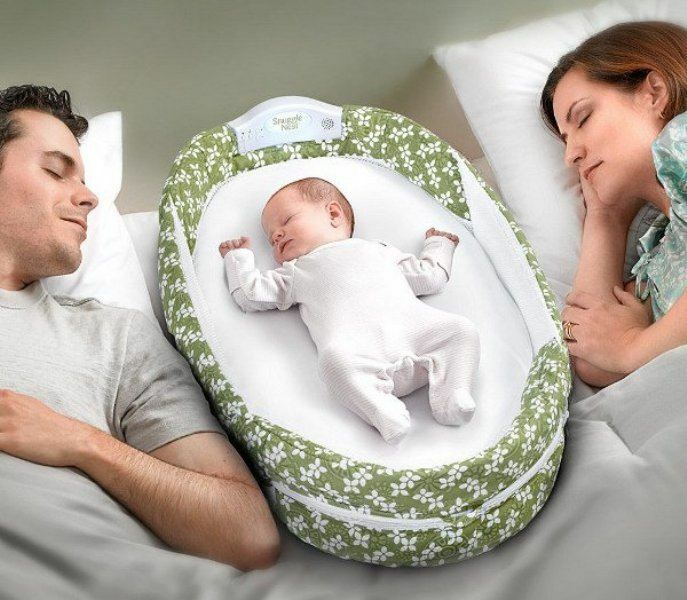 There are those that may be attached to the bed, so you still have your space while having the baby at arm’s reach. There are co-sleepers that may be placed on the bed itself. It looks like a modified basket. I suggest you use this only if you’re a light sleeper. Otherwise, you might not notice it if your limbs are already on top of the co-sleeper. You may also go for bassinets. I recommend this for parents who move a lot when sleeping. This is to avoid rocking your baby and waking her up when you toss and turn. There’s no hard and fast rule with regards to the duration of co-sleeping, but, of course, we can’t do it forever. Setting the timeline will help prepare you and your baby for the transition from a co-sleeper to a crib. Our babies have different temperature preferences, so you have to determine which one works for her. You may start somewhere between 65 and 70 degrees Fahrenheit as the experts say this is the optimal temperature for newborns. You have to ensure you don’t set the room too hot, or your baby will be at risk of overheating. I can’t stress this enough. Our newborns are asleep most of the time; hence, it’s crucial for us to make sure they’re safe while they’re having some shut eye. The first thing you have to do, as I have been reiterating over and over again, is to get a firm mattress and cover it with a fitted sheet. 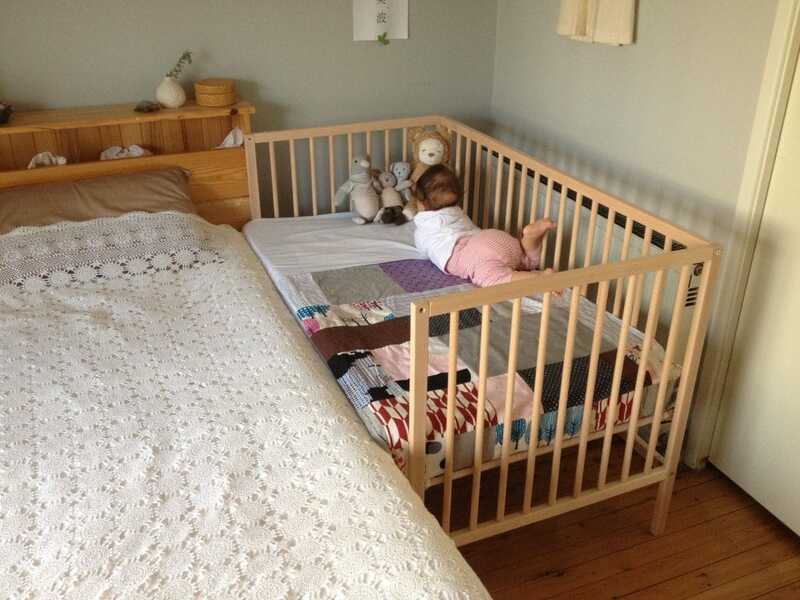 Make sure, too, that the mattress perfectly fits the co-sleeper of the bassinet. Otherwise, your baby may get stuck in the spaces between the mattress and the co-sleeper walls. Do not add blankets, pillows, toys, or any loose items to avoid obstructing the airflow. Your baby should be closest to the one feeding her. Do not use strong scents, whether it's your perfume or air freshener. Following all these steps makes learning how to co-sleep with a newborn easier.